The new MacBook Pro is razor-thin, feather-light and now even faster and more powerful than before. It has the brightest, most colourful Mac notebook display and it features up to 10 hours of battery life. It’s a notebook built for the work you do every day. Ready to go anywhere a great idea takes you. Powerful processor	Intel’s 7th-generation i5 processor, codename Kaby Lake, is designed to make your machine faster and more efficient. Overall productivity will show improvement for flawless multi-tasking and playback of 4K Ultra-HD video will occur without delay or interruption. The processor also feature a 'Turbo Boost' that will unleash more power when you need it, so you can handle more programs and intensive tasks without your laptop slowing down. The additional 256GB Solid State Drive (SSD) gives you capacity to store your documents and media, while ensuring fast and dependable access to your files and programs. SSDs are much faster than regular hard drives, and don't use moving parts to work, making them more reliable and quieter. Hi pwhite76 do you like the deal? Sorry, it's not really a deal if it's out of stock. 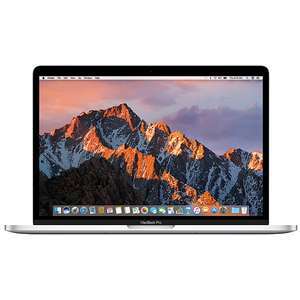 So hard to keep track of all the model variants, but I think this is in stock at Argos in both silver and space grey, £1,214.10 after discount using code MAC10. Happy to be corrected. Deal posting newbie! This is Matti7 first deal post. Help out by leaving a posting tip or just to show your appreciation for their contribution.